As of 2016, the longest collection of comics one would find on the internet was MS Paint Adventures which had more than 10,000 pages. These were created by Andrew Hussie. Hussie is an author and writer who has become famous thanks to the aforementioned collection of webcomics which include Homestucks. Beyond his comics, many of his fans and the public in general are yet to know who he really is, but here, we are going to present all that and more in addition to getting you updated on what he is up with currently. Andrew Hussie was born in the United States on August 25 1978/79. It gets interesting to realize that there is nothing much that is known about the personal life of Hussie including his parents, and how he was raised. Hence just like his works, there is some mystery to his person. Nonetheless, it is known that he has a brother, Byron Hussie with whom he has collaborated on a number of things. Just like Andrew, a lot of things about Byron is hidden. He is, however, an actor and director whose works include Barty’s Brew Ha Ha (2000), Barty’s Brew Ha Ha 2: The Legend of the Skeleton’s Curse (2003), and Barty’s Brew Ha Ha 3: The Myth of the Yeti’s Legend (2007). 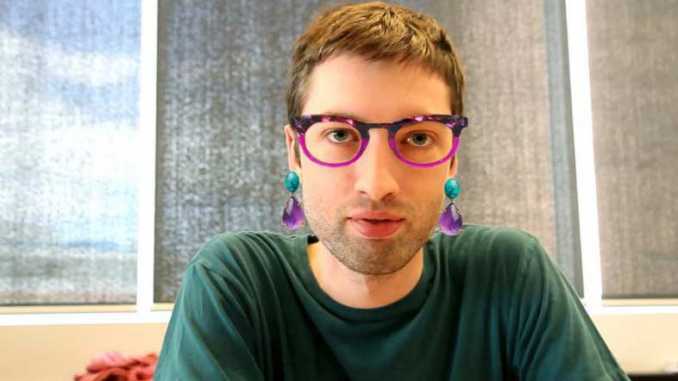 Andrew Hussie got his education from Temple University where he studied computer science. Before he started his career with MS Paint Adventures, Hussie got involved in a lot of other things in the same path. He tried webcomics and then he wrote several graphic novels of which only one was later published. In 2006, he joined Jan Van dem Heme in creating parody videos of Star Trek: The Next Generation until sometime between 2009 to 2010. His webcomics work, however, began with Team Special Olympics and then MS Paint Adventures. He worked on Jailbreak followed by Bard Quest in 2007. From 2008 to 2009, he was involved in his Problem Sleuth. It was after this that Andrew Hussie started HOMESTUCK which would come to amass loyal followership. Placed among last decade’s most spectacular pop-culture phenomena, HOMESTUCK was successful thanks to how it was able to cut between different genres including sci-fi and fantasy, action/adventure, comedy, romance, and drama. Since the second part of the 2000s, Andrew Hussie had always been busy handling one project or another. As pointed out, he began with the MS Paint Adventures in 2007 with Jailbreak and then it continued with others until 2009 when he began his highly successful Homestuck which ran from 2009 to 2016 and then it was later made into a book, Homestuck Book 1: Act 1 & Act 2 released in 2018. From then on, he has not been openly involved in much. In 2018, Viz Media acquired HOMESTUCK webcomic and it is under the company which described itself as a premier company in publishing and animation among other things that HOMESTUCK BOOK 1: ACT 1 & ACT 2 was published. According to Viz Media, it will release future books in the series on a quarterly basis. Andrew Hussie will be involved in the work as the company announced that each page will include commentary from him. Through the years, Andrew Aussie has been involved in a lot of things relating to comics, games, and other endeavors. It is thanks to all these that he is said by some sources to have a net worth which has been estimated at $1 million. There are others that put him at a net worth that is much higher. Due to his private life, it is not known if he owns any business or investments outside of what he does. See Also: Toby Fox Bio, Net Worth, His Undertale Game, What Is He Doing Now? Byron Hussie is believed to be the younger of the two brothers. They have both collaborated on Byron’s video series on a Bigfoot researcher, Barty Anderson which is a fictional character portrayed by Byron. In 2013, the Homestuck creator was contracted by Namco Bandai to create a game that would center on dating. The result? Namco High (2013). The browser-based dating sim game which was developed by What Pumpkin Studios and Date Nighto LLC was directed by Andrew Hussie. Not only was he born in Western Massachusetts, but he is also said to still be living there. There are no indications on whether he is living alone or with his family. When in 2012 Andrew Hussie announced that a HOMESTUCK game would be developed, he raised as much as $2,485,506 on Kickstarter which made it the fifth game on the platform to record seven figures and at the time, it was the third highest funded video game in the history of Kickstarter.